American cherry, also known as American black cherry is found in North America were its forest, production and export are steady. Sapwood changes from white- brown to reddish- brown, and the heartwood is reddish- brown or dark red. This wood has a clear, warm tone with fine grain. Cherry North American Crown Cut is a wood veneer with medium weight, with small surface changes and rhythmic differences between its rings. The Crown cut shows us a straight streak, or maybe a little curly streak, closed to other decorative veneer like birch or Maple veneer. 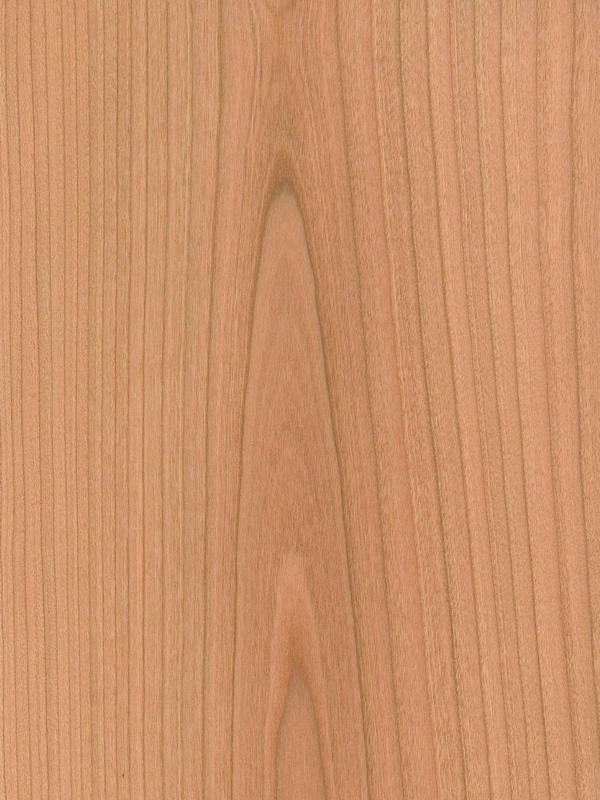 Its a softwood texture, with closed pore and natural shine. With time pass, this wood will change from reddish- brown to a golden tone. Cherry North American Crown cut transmit elegance and style. That is an ideal finishing for residential or professional environments because of its discretion, uniformity and warm. Here there is not necessary treatment because wood color is recognizable enough to enjoy this wood original beauty.